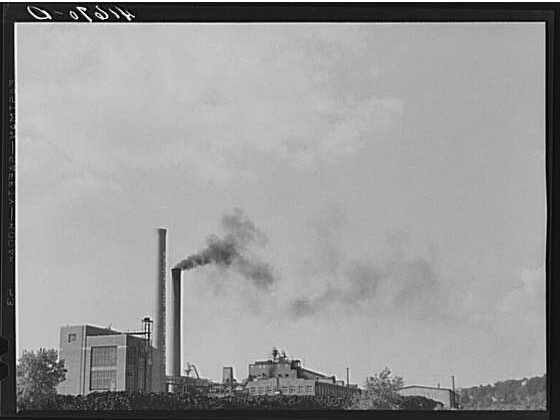 Naugatuck, and much of its surrounding area, has traditionally been associated with heavy industry. The naturally poor, rocky soil limited early agriculture, but abundant waterways led to the development of a manufacturing-based economy. 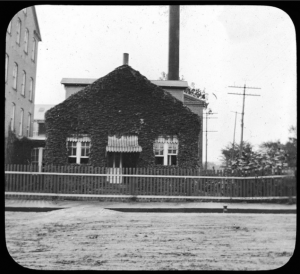 As small shops became large factories, Naugatuck evolved into one of the famous New England mill towns. One of the attributes that made Naugatuck unique, however, was that it was the home of Charles Goodyear, the inventor of vulcanized rubber. Goodyear patented his process in 1844. Vulcanizing rubber involved chemically treating it to prevent the rubber from becoming sticky in the heat and brittle in the cold. Working out of facilities in several New England towns, including Naugatuck, Goodyear experimented with new and different treatments in an effort to produce durable yet pliable rubber products. Thanks in part to Goodyear’s success, numerous rubber companies operated in Naugatuck in the mid-19th century. In 1892, nine of these companies consolidated to form The United States Rubber Company—a company so large that it was one of the original 12 stocks to make up the first Dow Jones Industrial Average in 1896. The early rubber industry, centered in New England, was a highly competitive one. Companies went to great lengths to create better products at lower prices in an effort to outperform their competitors. One of the more significant costs incurred by rubber companies was the purchasing of chemicals for use in various rubber treatments. In order to combat these costs, The United States Rubber Company formed the Naugatuck Chemical Company in 1904. 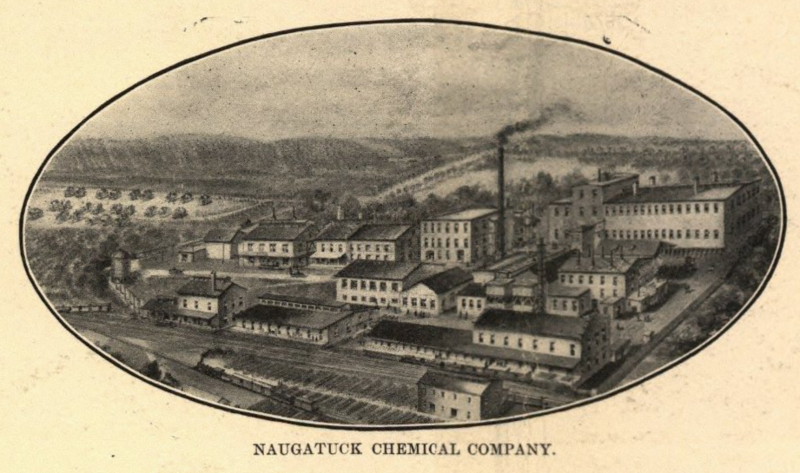 Set on 20 acres of land along the Naugatuck River, The Naugatuck Chemical Company proved to be an important subsidiary of US Rubber—most importantly for the sulfuric acid it produced that was vital for reclaiming used rubber as part of the manufacturing process. In addition to sulfuric acid, Naugatuck Chemical also produced nitric acid, muriatic acid, nitrobenzene, aniline, and antimony sulfides. Additionally, it was an important supplier of hydrofluoric acid, which Waterbury’s brass mills used for removing sand from brass castings. Despite all of its success in producing chemicals, perhaps its most famous product was Naugahyde, a synthetic, fireproof, upholstery fabric that resembled leather. Like many companies across the country, The United States Rubber Company and the Naugatuck Chemical Company eventually succumbed to the rash of corporate mergers and takeovers the characterized US industry in the 1960s and ’70s. Naugatuck Chemical eventually separated from The United States Rubber Company in 1961, becoming the independent Uniroyal Chemical Company. It relocated to Middlebury, Connecticut, and closed operations in Naugatuck in 1979. The United States Rubber Company became Uniroyal Inc. in 1961 before being acquired by the French tire maker Michelin in 1990. O.H. Bailey & Company. “View of Naugatuck, Conn. 1907.” New York: Hughes & Bailey, 1907. University of Connecticut Libraries, Map and Geographic Information Center - MAGIC. Link. Green, Constance. History of Naugatuck, Connecticut. New Haven, CT: Yale University Press, 1948. Babcock, Glenn D. History of the United States Rubber Company; a Case Study in Corporation Management. Bloomington, IN: Bureau of Business Research, Graduate School of Business, Indiana University, 1966.